In Singapore no one is above the law. 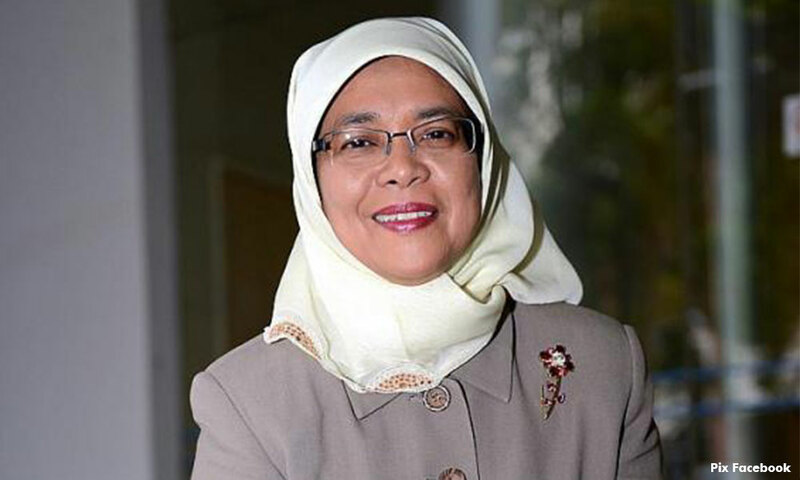 Cars belonging to Singaporean President Halimah Yacob’s convoy were almost issued summonses by the authorities on Wednesday as they were waiting along double yellow lines at Prinsep Street. A photo of a Land Transport Authority (LTA) officer talking to a driver of a white Mercedes bearing a plate number SEP1 has been circulating on social media since Wednesday. SEP1 is the exclusive car number plate for Singapore’s Head of State. “SEP” is the acronym for Singapore Elected President. Quoting a joint statement by the LTA and Singapore police, Channel NewsAsia (CNA) reported that an LTA enforcement officer was conducting his routine patrol along Prinsep Street on Wednesday when he noticed two vehicles waiting along a stretch marked with double yellow lines. The officer approached the vehicle to ask the driver to drive off, in line with LTA's approach to enforcing the double yellow lines regulation, said the report. "The driver informed the LTA enforcement officer that he was there to pick up the president who was leaving the place. In the midst of the engagement, the president arrived and the driver drove off. There was no summons issued," LTA and Singapore police were quoted as saying. CNA reported that the agencies explained that the police security sommand (SecCom) provides security protection for the president and other senior political leaders. "As part of the security protection operations, the vehicle convoy is to be positioned close to the event location in compliance with traffic rules, to facilitate swift evacuation during contingencies," the agencies said. In this case, the SecCom ground commander made a decision for the convoy to wait on the double yellow line for the President as there were no street-side parking lots available in the immediate vicinity which would have allowed the convoy to come quickly to the scene in the event of an emergency, they added. The online news reported that the police and LTA have reviewed this incident and SecCom officers have been reminded to park the convoy "in compliance with traffic rules, without compromising their mission to ensure the safety and security of those they are escorting".